Please Note Before Reading: This review may contain slight spoilers to the story. Read at your own caution. Where do you begin when it comes to a game by Bungie? The past? The present? Perhaps a bit of it all. When we hear the name Bungie, the community can instantly shout out one singular name: Halo. As a departure from their previous titles, Bungie seeks to please multiple aspects of the gaming community; the RPG fan, the MMO fan, the sandbox fan and even the FPS fan. This is what resulted in a game we know as Destiny. Destiny is a game that seeks to please a bit of everyone and even appeal to those that are not familiar with to games like this. With the game being a online-only focused title, it received quite a bit of flak due to this. The odd part is? It works quite well in many ways. Set in a future where humanity is all-but extinct, Guardians and their fire teams seek to clear out the universe of the Hive as well as the Fallen. With the help of groups such as The Future War Cult, Dead Orbit, Vanguard, Crucible, and even the New Monarchy; guardians will arm up and take on the enemy where it hits them the hardest; their leaderships and key bases. As it is known, Bungie is excellent at building worlds, crafting stories, and even making players believe they are in that one instance within the game. This is something that is quite easily done as the game opens up with explorers walking across the peaks of Mars. Shortly after we are ones to see the map pull back to show Earth. Little were we as players aware that Earth itself has been devastated by a mysterious enemy only known as – The Darkness. When the cut scene comes out of the intro, we are witnesses to a Ghost quickly darting among the dead cars within the Cosmodrome. Within seconds we get to see our enemies, the ones we will become intimately familiar with; the Fallen. Once our character is quickly awoken by the Ghost voiced by Peter Dinklage (X-Men: Days of Future Past, Game of Thrones). Within seconds he warns that our character is not safe and we need to run to safety, which is where our weapons are retrieved and our story begins to unravel into a much bigger (yet short) story that is introduced to us. After having retrieving a ship that has been hooked up and hidden inside a bunker of sorts, our adventure begins while we make way to The Tower. The last place where humanity may find safety as the Guardians seek to protect it. With our entrance to the Tower, we learn that no one is safe, and the Traveler itself has been weakened. Our goal? To help awaken The Traveler from its slumber and weaken the Darkness as well as its forces. This, however, is where the game begins to grow weak, diluted, and a bit confusing. Clearing out each quest results in video clips, audio logs, but also scenes that will attempt to explain the games story. Some of this includes “ambient” audio logs that play in the background, scenes on the computer screens to help players find out what’s going on, and or cut scenes where players will meet NPCs that help unfold the backstory as well as the main story itself. This includes the Speaker as well as many other NPCs who will fill in a main role through the beginning or even possibly the end of the game into the free-roam content also called “Patrol”. Unfortunately, the story is not this games current strongest point and could be considered one of the weakest. The only thing that gives it amusement? Ghost. His commentary as well as story filling gives his character a bit of an important role compared to that of what many experienced beforehand. “Not familiar with gunplay? That’s okay, this game will help, a little bit,” is how this game had to be explained to people who had NEVER touched a first person shooter before. One of these victims? My very own family member; my dad. For beginners the game offers an automatic aiming assist that can not be disabled. The game designers were also kind enough to offer a ‘auto-center’ option to help players who have trouble navigating with double joysticks. Unfortunately, this will not help out when things begin to get extremely chaotic. This was something heavily overlooked by Bungie’s development team. The game itself opens up as an extremely beginner friendly; that’s until enemies begin to flood the room. This is where the game gets a bit unfriendly to anyone who hasn’t familiarized themselves with the games mechanics. Having managed to play the game on both XBox 360, PlayStation 3, and PS4, the game itself stood strong in this. Buttons carried over well allowing for players to manage shooting, throwing out a melee attack, strafing, jumping, throwing grenades, and even weapon swapping weapons as needed while combat gets heavy. This is something that Bungie transitioned from their time with Halo. The gameplay itself sits as a rather strategic game at the higher levels (Light Level 20+ proves to be where the challenge will await you). This gameplay is where Destiny tends to shine the most. 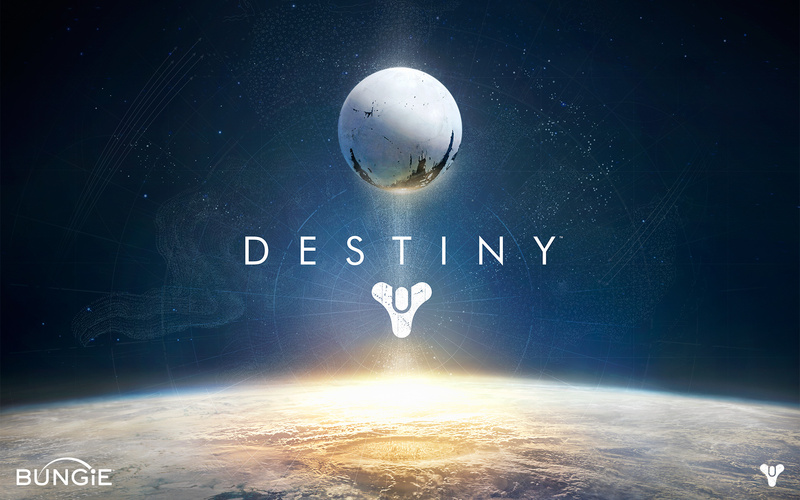 With little to no server lag; unless someone has a struggling connection, lives halfway across the world, or just has some odd issue with their connections; Destiny proves to be a rather stable game, even at launch there seemed to be little to no server issues at all. This allowed for fire teams to quickly transition between missions, this allowed us to open fire and send a barrage of bullets down the nearest corridor or over the nearest rocks while squad mates zipped past on their sparrows only to use their supercharged abilities; dispatching any enemies in the fray. Bungie’s doing this allowed for a rather amazing experience as enemies began to pour back out into the field. With this as a shining example, Bungie once more managed to pull off a rather useful control scheme as well as character capability setup. One such feature that is new to the series is the ability to run before going into an immediate slide that allows players to get out of harms way. Depending on the class being played, this could quickly turn into a player using a teleport ability to get further out of harms way. If that’s not possible, characters can manage to glide, double jump, or as stated – teleport. 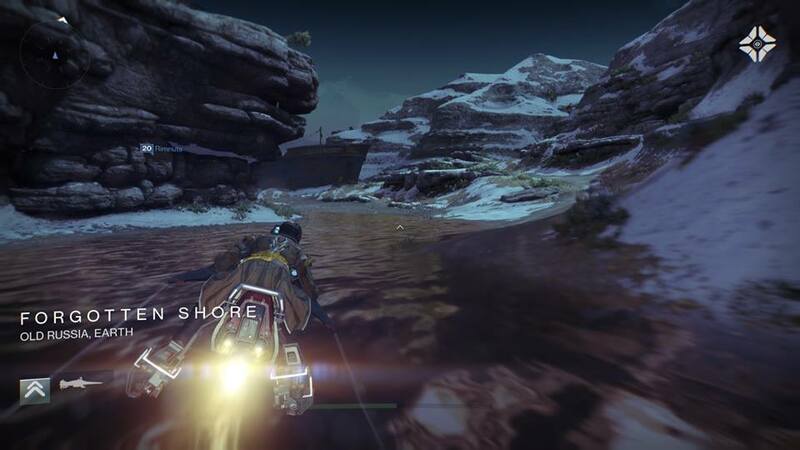 Destiny makes this easy thanks to the lack of button delay or even action delay. Earning props for this, Bungie has once more upped the ante on what multiplayer games should do; especially an online only title like Destiny. Even though enemies seem to be troublesome, the bosses are to be even more troubling as players run into them. Prime examples are like the final boss from the strike called “The Summoning Pits”; Phogoth. His foreshadowing can be spotted in several occasions where players are introduced to the “Hive Ogre”, which is basically their version of the ‘Brute’ we experienced in Halo. This guy is big, mean, and packs a punch that can almost instantly disable someone who isn’t paying attention. Phogoth mimics this in his strike where he sits as one of the bosses that will make players beat their faces into a wall as enemies flood in from all sides intermittently. Don’t be alarmed though since this happens in every strike where the final boss or other bosses remain present. This is because enemies don’t feel dangerous, even though the bosses are just bigger versions of the peons you fight every day. Hammering through the game can, however, get repetitive as there seems to be little variation between the three classes, and 6 subclasses. For example, the Hunter subclass called “Gunslinger” powers up into a supercharged ability that allows for them to go into a three shot mode that is almost a guaranteed instant kill for NPC’s and players alike. The downside? This can be quickly seen in the Warlock’s subclass called “Sunsinger”. The difference? The Sunsinger strikes with vicious grenades that promise to set enemies on fire with their unique trait (if used) called Viking Funeral; this allows players to set enemies on fire and watch them burn from afar. Then just watch the magic begin while throwing grenades from afar. Unlike the hunter, however, they do not focus on the use of grenades, but instead of ‘team buffs’ or self buffs that make them become a bit more vicious than before. The Titan can easily be seen as the games tank or close range brute that seeks to do anything that includes the idea of destroying enemies. This is where the Titan shines the most since he is the one that seems to differentia from the other classes the most except for the games subclass called “Defender”. This class is where the Titan truly shines in the Crucible (competitive multiplayer) as well as in the strike missions. Unfortunately, all the classes and subclasses seem like they could use a bit more tweaking in order to make the game a bit more difficult or at least offer a tad bit more variation. If you are looking for a class variation between them like you’d see in Battlefield 4, Plants vs Zombies Garden Warfare or even Borderlands 2; look elsewhere. Unlike previous titles that could play out like Destiny and do, they offer something that feels unique, where classes feel needed as well as required when going on. Unlike the best known game in the RPG/FPS genre, Borderlands offers a very differentiated set up between each character, unique weapons, and decent loot intervals that will make characters actually feel unique to the game. Unfortunately this is something Destiny needs and badly. Abilities feel useless since players will find themselves focusing more on weapons than anything. The issue there? 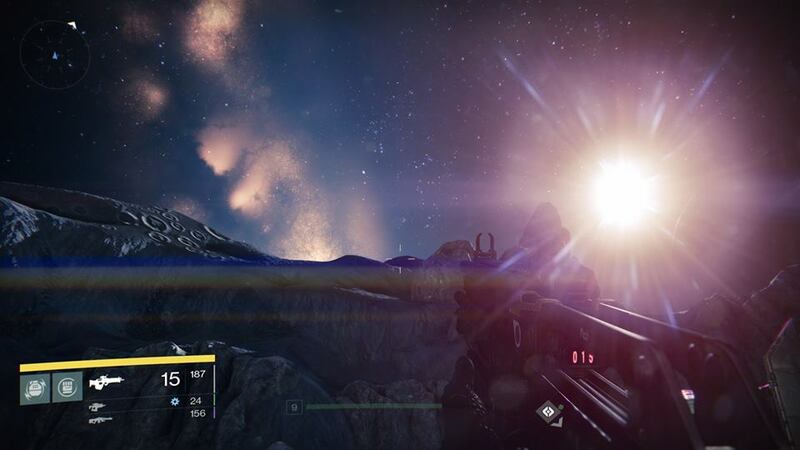 Destiny feels like a painful shooting gallery. Enemies feel like fish stuck in a barrel waiting to be shot with an RPG from ten feet away, this is even more noticeable when playing with friends who are fully geared up with at least light level 26+ gear and having decked it out a bit more. The only way to make it not seem like a shooting gallery? Mess with classes, stats, and truly take time to pick a fireteam that can compliment each other with abilities and cooldowns used. This will shine when hitting the games only current available raid called “Vault of Glass”. Loot is where this game does tend to struggle the most. With legendaries coming out to be a rather huge grindfest. This means enemies are rather painful to deal with. This seems like something Destiny needs to sort out since players are limited to a maximum of ‘100’ Vanguard points as well as ‘100’ Crucible points. This means that players will have a bit of a struggle getting gear unless they get insanely lucky with the games RNG drop rates. Even with a few changes that could be made and a bit of tweaking over time, Destiny tries to be a game that seeks to be something it’s not quite to yet; a story driven adventure. With time this game has a lot of potential to grow with two upcoming DLC’s planned as well as rumours of multiple entries that could make their debut on the new generation of consoles. Even with that possibility players who are playing on the XBox 360 and PlayStation 3 should have nothing to worry about except a bit more graphical polishing between the two sets of console generations, but it may be advised to give the new-gen experience a shot since that is where Destiny truly seems to graphically shine. Overall it is an experience that players who haven’t had a chance to experience should jump on it soon as they get a chance. So what does Destiny manage to earn itself? Bungie manages to clear out for a score of 7 out of 10. Dustin is our native console gamer, PlayStation and Nintendo reviewer who has an appetite for anything that crosses the boarders from across the big pond. His interest in JRPG’s, MMO’s, Handheld Gaming, and Pizza is insatiable and can’t be softened by even the biggest names in the gaming industry. His elitist attitude gives him direction, want, and a need for the hardest difficulties in games, which is fun to watch, and hilarity at its finest. To follow Dustin, hit him up on Twitter over at @GamingAnomaly, find him on his Google+. Wanna game with him? You can find him on PSN with RaivynLyken.